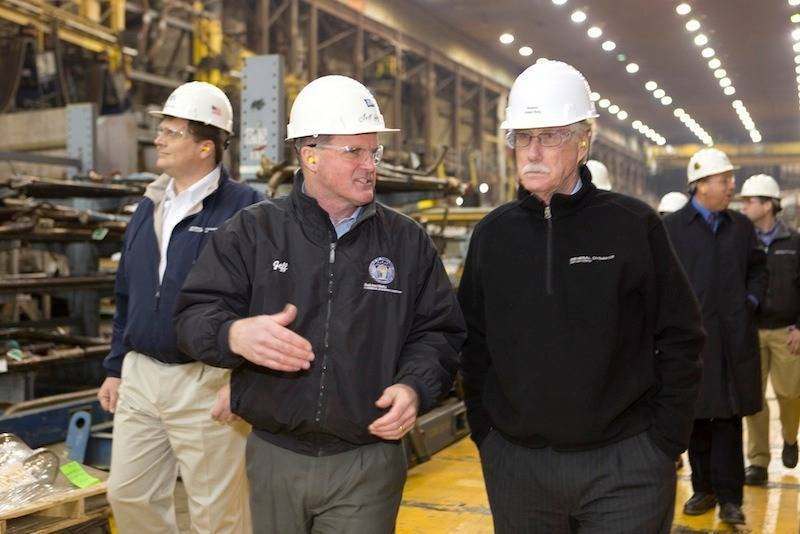 In addition, Frederick J. Harris will remain as president of General Dynamics NASSCO and will also serve as president of Bath Iron Works. Bath Iron Works and NASSCO will remain as wholly owned and separate General Dynamics subsidiaries. 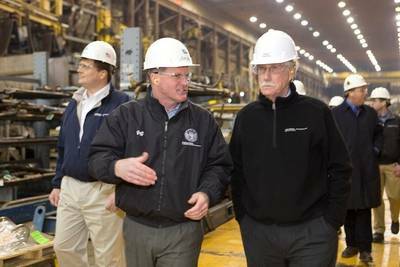 Michael J. Mulligan, president of General Dynamics Armament and Technical Products, will remain a vice president of the corporation and will become vice president and general manager of Bath Iron Works; Kevin M. Graney, currently vice president of operations at NASSCO, will become vice president and general manager of NASSCO. Mulligan and Graney will report to Harris; Harris will continue reporting to Casey. The reshuffle follows the retirement of Kevin Poitras. In announcing the changes Casey said, "Kevin Poitras has demonstrated his capabilities over a 40-year career with Electric Boat. We appreciate his many accomplishments and his dedicated service, and wish him well in retirement."